"It is a privilege to do this job. Make sure you enjoy it." Those were the words going round my head as I entered the Commonwealth Games village two weeks ago to join up with the media operation supporting Team England at Glasgow 2014. The words had been said by the leader of the media team, Claire Furlong, and became something I reminded myself of every day. Looking back, it is the most important piece of advice I would give to anyone who has the opportunity to work at a major multi-sport event. 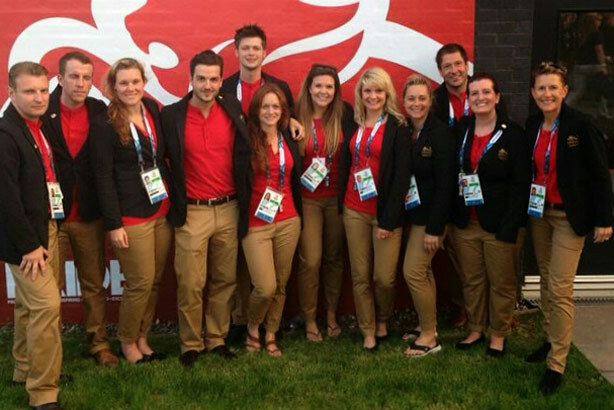 It is a challenging and rewarding experience and during my time at Glasgow 2014 I learned many lessons about what it takes to be part of a successful media team at a major sporting event. Working at a Games tests your ability to manage people and situations like no other. As a press officer your key challenge is to strike a balance between giving the media what they need to do their jobs, while at the same time protecting athletes from distractions and leaving them free to focus on performing and competing. It can be an explosive cocktail and during my two weeks in Glasgow I witnessed disagreements with coaches, journalists nearly coming to blows in the mixed zone and distraught athletes in floods of tears after years of hard work and training had amounted to nothing. Plotting a route through this emotional minefield is not easy and maintaining good relations with everyone is a massive challenge for press officers. Persuading an athlete whose dreams have just been shattered to front-up and say a few words to a baying press pack is a hard sell but it is the press officer’s job to deliver this and the ability to get the athletes through these traumatic experiences is an invaluable skill to have in your armoury. A Games is no place for prima donnas. Members of the media team are expected to cover multiple sports and it is not unusual to work with three different sports in three separate venues in one day. Working 18-hour days can also affect people’s moods so it is important that everyone mucks in and pulls their weight. Social media are a massive part of the Games. It is like a constantly evolving series of conversations and trying to be completely across what is happening is a full-time job. You could drive yourself mad trying to capture every single moment with a photo and posting it on Twitter, so it’s far better to have a clear game plan for social media. In Glasgow, the team was careful not to clutter the England Twitter feed when medals were imminent so that the big moments got the attention they merited. Likewise, all of the press officers had clear guidelines on personal Twitter use. The focus should be on providing an insight into the Games experience and not posting as many pictures as possible of yourself with gold medal winners. As press officers you are there to do a job. You are not a fan and while it is fine to cheer and clap, it is not professional to be fist-pumping and hollering in the media tribunes. Your primary responsibility is to get the athlete through the mixed zone and nothing should detract from that. One colleague had a problem with a senior member of the support staff congratulating athletes as they came off the field-of-play, which led to delays in the athletes entering the mixed zone, where live TV and radio were getting increasingly agitated. In the end it required a conversation where the press officer explained in no uncertain terms that once the athlete left the field-of-play, then the next three minutes were his domain and nothing should get in the way of that. It might have seemed harsh, but it was the right call as we all have a job to do and there was plenty of time for hugs and congratulations once the athletes got back to their dressing room. Finally, if you ever get to work at a Games, then don’t expect to see much of it on TV. Most of your time will be spent at venues or travelling to venues and the best way to know what’s happening is through internal communications with your team or following the Games on social media. In two weeks, I saw less than one hour of TV. I still haven’t seen Usain Bolt in the relay and would struggle to tell you the medallists from the men’s 100m. I am not complaining though. It is a privilege to work at a major sporting event and definitely an experience to be enjoyed. Lee Murgatroyd is the founder and managing director of Point Communications. Follow him on Twitter @PointCommsLee.